It’s a beautiful day, the sun is shining, so you decide to find out how your PPC ad campaigns are performing by asking what is a good click through rate? You run some analytics and dashboard reports, only to find your click-through rate (CTR) is struggling to rise above a few percentage points. That low CTR is staring you right in the face, taunting you to no end! If you aren’t familiar with the averages of your particular industry, you might be panicking, asking yourself ‘is that a normal CTR’? The truth is, if you’re like most advertisers, you’re going to see a seemingly low, single-digit figure. Does that mean your campaign isn’t performing well? Is CTR the end-all-be-all of success in both your copy and your target market? To answer these complex questions, we have to start by understanding what CTR means. Then we can explore what makes up a ‘good’ CTR and discover how you can use the information to make your ads more profitable. After all, if you don’t know how your campaigns are measuring up, it’s difficult to decide if you should use ad spend to improve your performance, or if you should allocate the budget to other marketing activities. In this article, you’ll find out if CTR really matters, if your CTR is up to par, and learn how to increase the ROI of your paid advertising by improving your click-through rate ASAP. What Makes a CTR ‘Good’? How Does Your CTR Compare? In its simplest form, click through rate measures how often people who view an ad end up clicking on it. The quality of the imagery, ad positioning, keywords, and many other factors will impact your CTR. There are a handful of benchmark studies on average CTR to help marketers determine what is a good click through rate. However, if you ask what a successful CTR is, you probably won’t get a clear, concrete answer. Why? See the first paragraph of this section again: there are too many variables that come into play. For example, running a bottom-of-the-funnel campaign to a deep remarketing list will likely generate high CTRs. Running a reach-based brand awareness campaign to a cold audience probably won’t. It’s hard to compare CTRs across campaigns, accounts, strategies, or companies, because it all depends. But let’s look at some data-backed industry averages that can help you benchmark your current CTR against those of your competitors. According to Wordstream, the average click-through rate on the AdWords search network is 1.91% on search and 0.35% on display. Hanapin Marketing’s Matt Umbro came to a similar conclusion on PPC Hero, stating that 2% is a good CTR in search campaigns on AdWords or Bing, but reminds marketers that just because they’ve acheived good doesn’t mean they shouldn’t aim for better. Doubleclick (the display advertising part of Google) further breaks down good click through rates according to different types of ads. 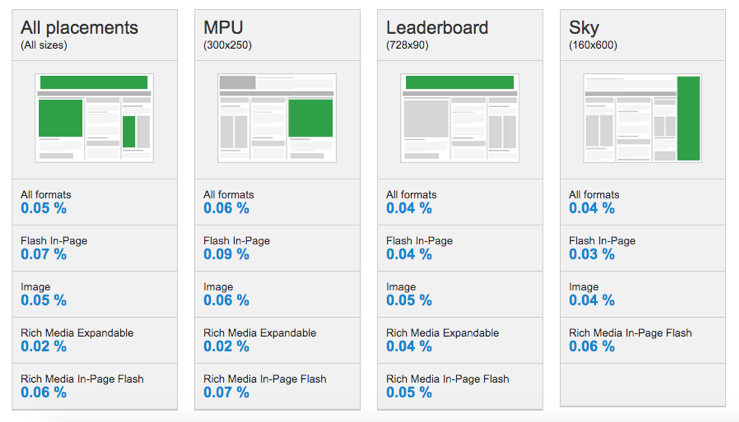 For example, overall display ad CTR is 0.05%, rich media ad CTR is 0.1%, and Facebook Ad CTR ranges from 0.5% to 1.6%. All of this data comes with a caveat. CTR across all industries isn’t specific enough to help you understand how your campaigns are measuring up against your competition, because the average CTR for different industries varies so widely. At Acquisio, we released an industry benchmark study using data from 50,000 campaigns created by 11,000 advertiser accounts inside the Acquisio platform from the United States, Canada, and Australia with and without the use of machine learning. The study looked at different PPC metrics like conversion rates, CPA and CPC, but of course also included click through rates. The results illustrate the importance of understanding metrics specific to your industry since the results for average click through rates by industry varied greatly. For example, the average CTR for legal services search ads is 4.45%, while real estate is 7.58%. But there are other factors that you need to take into account while analyzing whether or not your CTR is good. First off, search ads and Google Shopping campaigns typically have higher CTRs than display campaigns. This is largely due to banner blindness. Search ads reflecting user intent with keywords and specific landing page contents generate much higher CTRs. Why? Because the searchers are already exhibiting more intent and desire to buy. Remarketing campaigns tend to have better CTRs, too, simply because the users in your audience are brand-aware. 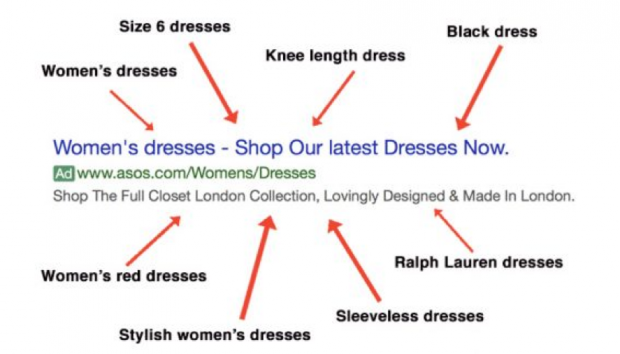 Ad positioning can also have a significant impact on your CTR. 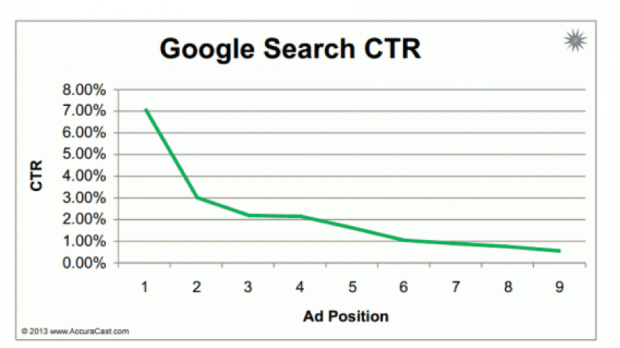 Landing a first-page, first-slot ad position can give you a 7% CTR on average. But even dropping to the second spot brings you back to most industry averages. Of course, there’s still a lot to be said about lower positions, but that’s a whole other blog post. Ads below the fold can accrue impressions without ever actually being seen, which can affect your CTR. Benchmarks are helpful to determine if your campaigns have a good click through rate. They can help you see baseline performance overall compared to your competitors. However, they aren’t foolproof or the end-all-be-all of performance metrics. Comparing CTRs is difficult due to the highly customizable nature of PPC campaigns. A simple tweak in your audience could make or break your performance. With that being said, there are still ways to improve your CTR, and striving for a higher CTR can only bring about positive effects. When it comes to running a good PPC campaign, arguably no factor has a greater impact on your success than your audience targeting. Sure, your offer, calls to action, message match, and a whole host of other factors come into play, but if your audience targeting isn’t dialed in, you can kiss that sweet cash goodbye! Just think about it: if you are interested in obtaining PPC services for your business from an agency, but they keep sending you SEO information, ebooks, and infographics, what’s going to happen? Zero clicks. Well, maybe one, to unsubscribe from your email list or flag your ads as irrelevant. Audience targeting is still a huge pain point for most PPC advertisers. 2017 data shows that 62% of small business advertisers on Facebook miss their target market and, as a result, see poor performance metrics. The fact of the matter is, no matter how incredible you make your copy, creative, offer, message match, headline, humor, or ANY other factor, an audience that doesn’t need your product or service won’t click. If someone offers you free bread for life but you’re gluten-free, you won’t care. Audience targeting is everything. 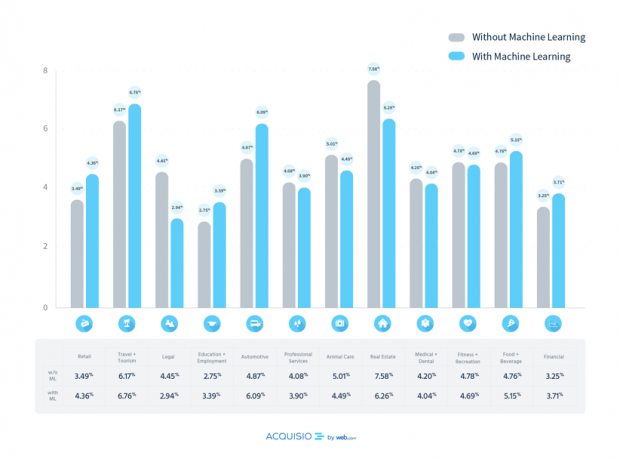 Keep layering each individual targeting parameter to narrow down your audience. 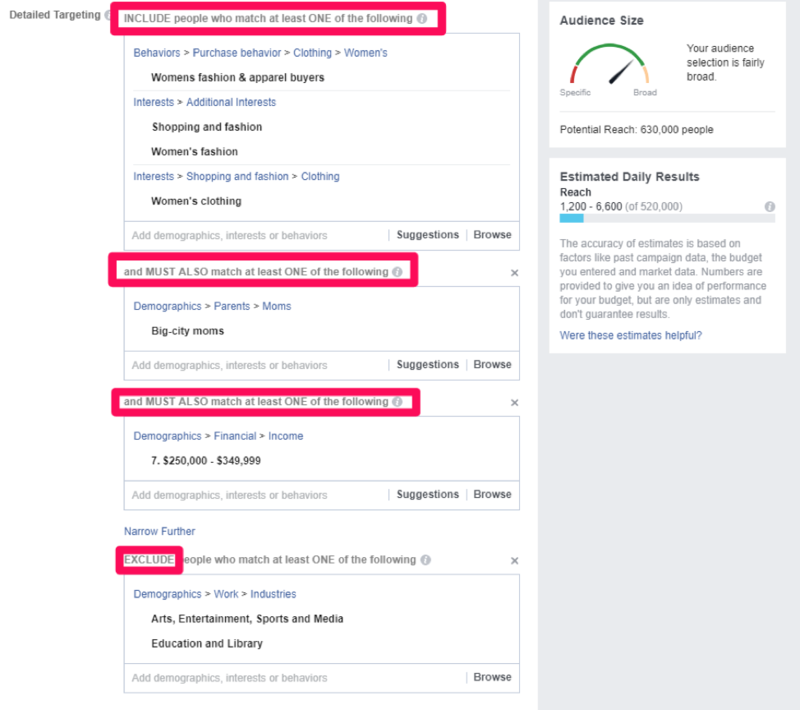 Simply targeting people interested in fashion isn’t enough, not when your target market is big city moms with a substantial annual income to afford your expensive products, or when you know for a fact that specific demographics like arts and education don’t purchase from you. If you aren’t layering interests and exclusions within your audience targeting, you’re targeting too many people. But even though the list above has some interests and exclusions, it’s still too big. It currently includes 630,000 people. Would you rather reach 100 people a month and convert half of them or reach 10,000 a month and convert ten people for 3x the cost? If sales are your goal, stop worrying about reaching as many people as possible. If your goal is brand awareness, accept the fact that your CTR will be low and realize that remarketing interested users will bring it up later in your funnel. Start focusing on your audience targeting and limiting your reach to only those who are most likely to buy. Once you’ve done that, you can start optimizing the content within your ad to further improve performance. Trying to do it the other way around will only leave you with a depleted budget and wasted, irreplaceable time. 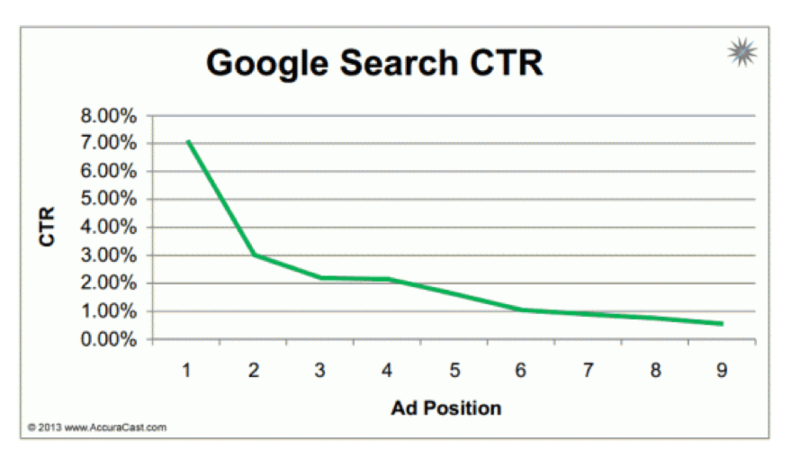 The average CTR for a typical display ad is very low. It sits somewhere around 0.1%. If yours is significantly lower than the average, or if you simply won’t settle for average, then it’s time to experiment with a few tweaks. First off, ensure that you are choosing the most effective ad sizes and setting yourself up for success. All too often, I see people testing every single ad size in the book and spinning their wheels. According to Google, the most effective sizes are the 336x280px large rectangle, the 300x250px medium rectangle, the 728x90px leaderboard, the 300x600px half page, and the 320x100px large mobile banner. Only implement these, and you’ll start yourself off on the right foot. 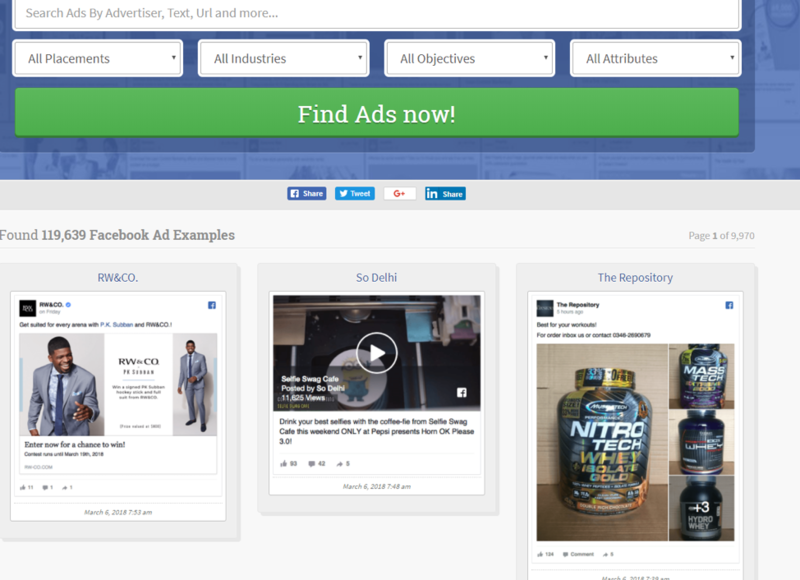 Search by placements, industries, objectives, and attributes to find competitors advertising with similar goals. 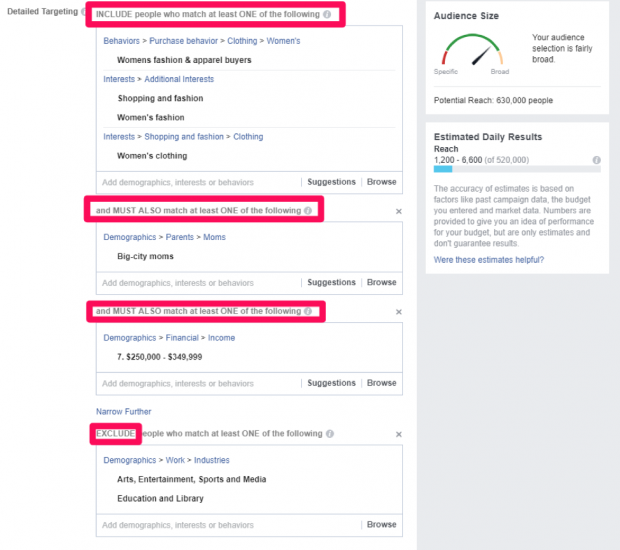 See what type of content they display in their ads and what their engagement levels are in terms of likes, shares, and comments. Continually test and research competitors to create better ads with better creative. One major problem with ads is specificity, especially when it comes to the search network. On the search network, the path to purchase should be extremely clear. You know precisely what the searcher is looking for. If you don’t give them exactly that, your CTR will tank. Keyword searches can be extremely specific. For example, if someone searches for “red tennis racket,” they expect to see a red tennis racket, right? Right. They don’t want to see your homepage. They don’t want a generic tennis ad. They don’t even want a list of tennis rackets that you sell. They want a red one. According to ConversionXL, using this SKAG setup increases CTR by 28%, driving quality scores up more than two whole points. How? Specificity! Basic ads on AdWords are boring. Plus, standard ads without ad extensions leave you with only 80 characters for your description and 30 for your headline. If you’ve ever written multiple AdWords ads at once, you know the struggle. But it doesn’t have to be that way. According to Google, adding multiple sitelinks that are related to your base ad offer can improve your CTR by 10-20% on average. A simple, five-minute tweak can skyrocket your CTR. They are extra links that you can add that relate to your general offer on any given ad. They help you add even more specificity to your ad with different sections in order to peak someone’s interest. Google recommends having at least six sitelinks for desktop ads and four for mobile ads. CTR is one of the most controversial metrics there is. Marketers use it to benchmark performance and success in search. But truthfully, it’s flawed. Almost anything can impact your CTR. Because no two campaigns are alike in goals, audience, and more, it’s no wonder that CTRs vary so widely. Use the benchmarks you uncover as a starting point. Your CTR can vary by industry and according to your goals and approach. With that being said, you can still implement some proven methods of increasing your CTR fast. First off, dial in your audience targeting. It’s by far the biggest determining factor to increase CTR and overall profitability. Targeting the wrong audience will leave you with a terrible CTR and expensive conversions (if any). Next, adjust your display ad creative. Keep testing it until you find one that drives the most clicks. Speak to your audience when using search network ads. Communicate value, and the clicks will come. Leverage existing AdWords tools like ad extensions that have been proven to increase CTR. Finally, keep in mind that CTR is relative. Implement these tips, and you’ll boost your chances of landing more clicks and conversions!